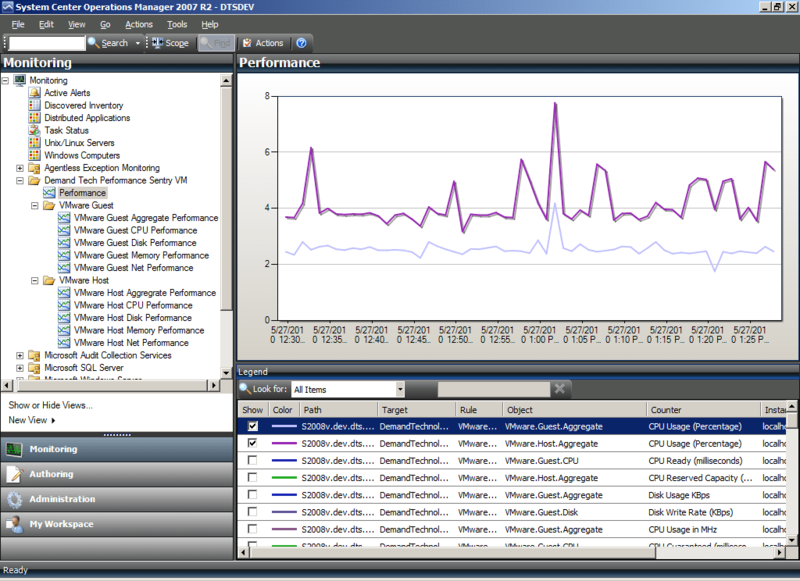 Demand Technology Software is pleased to announce the release of the Performance Sentry VM Management Pack for Systems Center Operations Manager . The Management Pack integrates the VMware ESX performance metrics provided by Performance Sentry VM with Microsoft’s popular Systems Center Operations Manager (SCOM) data center management product. The PSVM Management Pack requires both Performance Sentry VM and Systems Center Operations Manager 2007 R2 (SCOM 2007 R2). 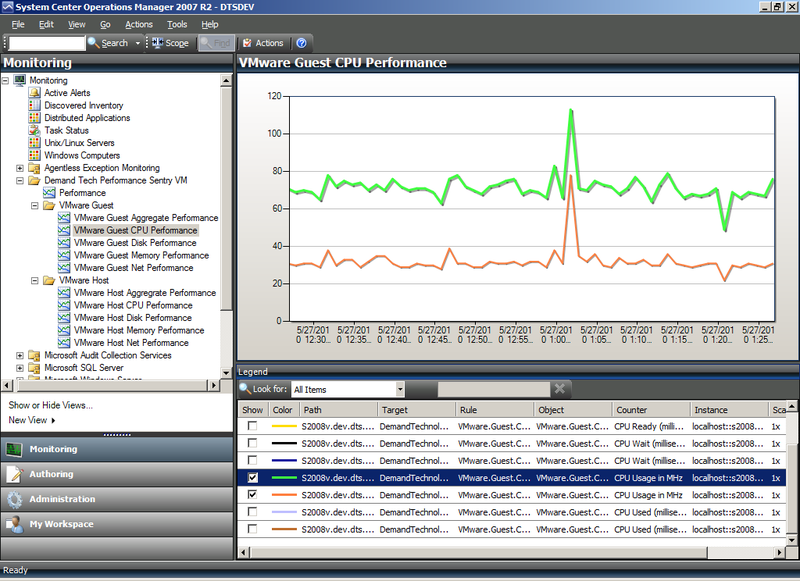 Performance Sentry VM uses Server 2008 counters. There can be issues with SCOM 2007 R2 not showing these 2008 counters. As a result, we recommend installing SCOM 2007 Cumulative Update 2 if you have not already done so from http://support.microsoft.com/kb/979257. be downloaded from our download page or directly from here.